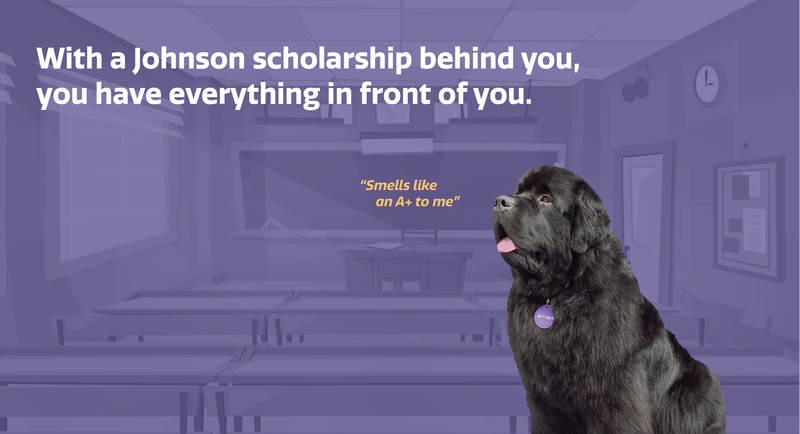 With a Johnson scholarship behind you, you have everything in front of you. Since 1998, the Johnson scholarship program has awarded over $1,000,000 in scholarships and academic grants to students across Canada. Through this scholarship, we aim to recognize and reward Canadian students with outstanding academic achievement and community/extracurricular involvement. be enrolled in an undergraduate program on a full-time basis for the 2019-2020 academic year at a recognized publicly funded Canadian post-secondary institution or Cegep (if living in the province of Quebec). be a child/grandchild of a Johnson employee. * A Johnson “recognized group” means an employer group, professional association, alumni association, union or another group that has an insurance program agreement currently in force with Johnson. Please ensure that you submit all your application material by Monday, August 12, 2019, 11:59 p.m. EST. You will be required to upload a scan of an official transcript from your final year of high school. Please ensure your transcript shows your final grades, and that you have obtained this from your high school far enough in advance to allow you to upload it to your application on time. Please note, a candidate with an incomplete transcript will be disqualified. You can make changes at any time by using the "Next" and "Previous" buttons. Once your application is completed select the "submit" button on the final page. On the bottom of the second page, there is an option to save and continue your application at a later time. This option is found at the very bottom, and at the top in subsequent pages.